As expected, its Michel ‘Aoun. Afterthought for British readers: or an early Guy Fawkes Day. Imagine if you will a world in which Donald Trump chose Elizabeth Warren as his running mate, or Hillary Clinton chose, say, David Duke, and these were considered breakthroughs. You have stepped through a gate into another dimension, a dimension known as (theme music) the Lebanon Zone. Anyone who has followed the roller-coaster ride of Lebanese politics since the end of the civil war and somehow retained their sanity will be familiar with the fact that over the decades the factional leaders (zu‘ama) rarely change, except when one dies, and even then the last name stays the same. But the factions shift alliances every few years. In 1990-91 General Michel ‘Aoun was the sworn enemy of Syria; when he returned after years in exile he was Syria's friend, and is now Hizbullah's favorite Maronite. While his chameleon-like shifts are nowhere near as volatile and frequent as Walid Jumblatt's, he has frequently realigned himself. 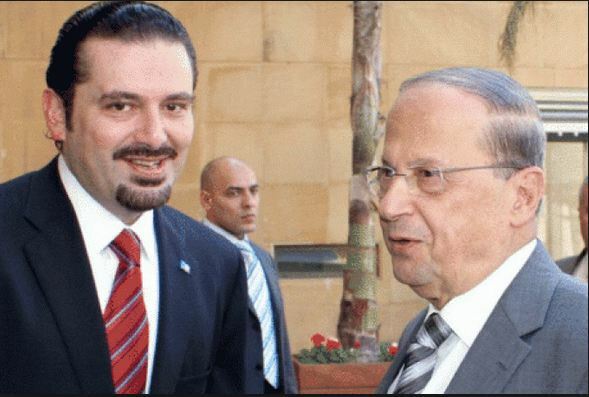 The recent announcement by Sa‘d Hariri, the former Prime Minister whose late father's assassination has been blamed on Hizbullah, announced that he was endorsing ‘Aoun for the Lebanese Presidency, which has been vacant since 2014, during which time public services such as trash collection have collapsed. Soon after, Hizbullah Secretary-General Hasan Nasrallah endorsed the strange bedfellows alliance. ‘Aoun, a Maronite, would become President, and Hariri, a Sunni, would be Prime Minister, since those jobs are reserved for those confessional groups. Joyce Karam in an op/ed sees it as a Hariri concession. It may well break the deadlock and see a President elected in coming days (Parliament chooses the President), but all the faces will be old familiar ones. 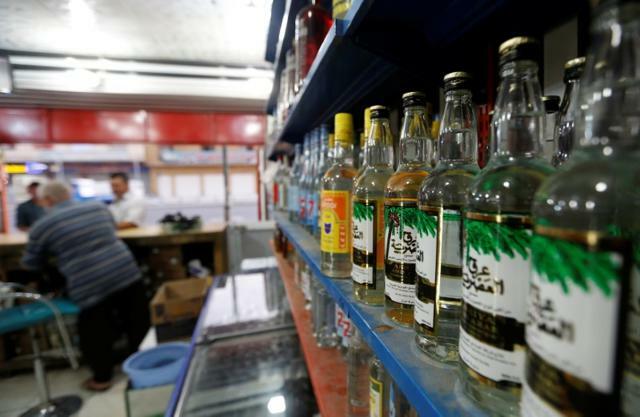 Iraq's Parliament, having defeated ISIS (oh, wait), ended sectarian tensions (oh, wait), negotiated all territorial and oil issues with the Kurds (oh, never mind), has had the time, in its wisdom and with all of Iraq's other problems presumably behind them, to vote to ban alcohol. alcohol before they acquired writing. In the Baghdad of Harun al-Rashid the sybaritic poet Abu Nawas was known for his enjoyment of wine, and Omar Khayyam's loaf of bread, jug of wine and thou beside me needs little introduction. Until the fall of Saddam, alcohol was common in Iraq for centuries. 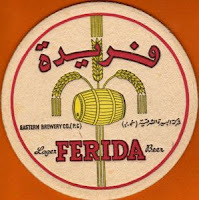 Local breweries produced beer; northern Iraq produced wines, some of it from Christian monasteries. Arak, the anise-flavored liquor similar to Turkish raki and Greek ouzo, was widely available, and so was its home-brewed version. Alcohol production in Kurdistan is apparently flourishing. After Saddam fell, alcohol remained legal, but various Islamist groups, including al-Qa‘ida in the Land of the Two Rivers and its successor/heir ISIS, and Shi‘ite fundamentalists as well, attacked and even fire-bombed bars and liquor stores. Alcohol consumption in public faded for a while, and of course was taboo in ISIS-controlled territory. 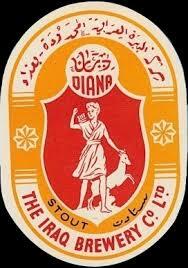 But beer, wine, and arak are deeply ingrained in Iraqi society, in a way it never was in, say, Saudi Arabia. With Christians fleeing Iraq n large numbers, remaining wine-producing monasteries will see this as a new threat. And the Kurdish Regional Government, which has only the most tenuous theoretical loyalty to the Baghdad government, will likely ignore the ban. So, I suspect, will many other Iraqis. Former Qatari Emir Sheikh Khalifa bin Hamad Al Thani, who ruled from 1972 until overthrown by his son in 1995, has died at he age of 84. His grandson Sheikh Tamim is the current Emir. Born in 1932, he was already Heir Apparent and Deputy Ruler when he deposed his cousin and took the throne. He presided over the huge increase of wealth following the oil price rise of the 1970s. He gave more and more of his day-to-day responsibilities to his son and spent long periods in Europe. 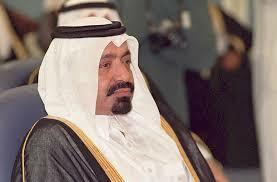 In 1995 he was deposed in turn by his son Hamad, while Khalifa was vacationing in Geneva. He lived in exile in France and the UAE. In 2004 he was allowed to return to Qatar. In 2013 Sheikh Hamad abdicated in favor of his son Sheikh Tamim, the current ruler, who is the late Sheikh Khalifa's grandson. For the past three years Qatar has had three living former or sitting Rulers, until Sheikh Khalifa's passing. 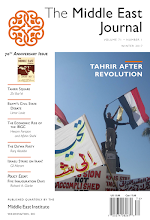 Now that Dabiq Has Fallen, Will ISIS Change the Name of its Magazine? What with the launching of the campaign against Mosul and the US preoccupation with the election, many may have overlooked the loss by ISIS of a tiny town in northern Syria with only a few thousand inhabitants. But it did get some attention, because the town was Dabiq. It looks as if the end times may be postponed for a while. You may recall that two years ago I did a post discussing the role pf Dabiq in Islamic apocalyptic thought, and quoted at length a hadith attributed to the Prophet to the effect that in the last days a great final battle between the Muslims and "the Romans" (that is, the Byzantines), which would lead to a Muslim victory the fall of Constantinople and the onset of the last days. Yes, Islam conquered Constantinople back in 1453, but in the centuries of struggle preceding that, the boundary between Byzantium and Islam frequently ran roughly along the present Turkish border; as, later, did the boundary between the Ottomans and Mamluk Syria. Over the centuries two battles were fought at Marj Dabiq (the Meadow of Dabiq) near the town: one in 717 AD between the Umayyads and the Byzantines, and the other in 1516 in which the Ottomans defeated the Mamluks and opened their conquest of Syria and Egypt. Dabiq was in the sort of location where battles have occurred several times. rather like the hill and pass at Megiddo in Palestine has been the scene of battles from ancient times to World War I. Just as the biblical Book of Revelation places the final battle at Armageddon (Greek for har-Megiddo), so some Islamic traditions place a similar battle at Dabiq. And of course, ISIS named its English-language magazine Dabiq. Unlike Aleppo or Mosul, the loss of Dabiq by ISIS to the Sultan Murad militia (a Syrian Turkmen militia backed by Turkey) has little effect on the military situation, but it clearly undercuts ISIS' claim to be bringing the apocalypse. For more on the subject, ISIS expert at Brookings Will McCants has a good piece at Jihadica, "Apocalypse Delayed," (also available from the Brookings website). The debate over the rights and wrongs of the war in Syria and what the policy of the US and other powers should be has sometimes seemed as endless as the war itself. Let me commend to you an incisive, if sobering, analysis by Bassam Haddad at The Nation: "The Debate Over Syria Has Reached a Dead End." In 50 years, the human rights struggles and wars have shifted their turf, but are still not blown away. For Palestine, Syria, Yemen, Libya, and the US election. The Missiles of October: Are the Houthis Trying to Bring the US Into the Yemen War? The forgotten, ignored war in Yemen is suddenly drawing the attention of the US, which has supplied aircraft and ordnance to Saudi Arabia. Wednesday, for the second time in four days, two cruise missiles were fired at the USS Mason in the Red Sea north of the Strait of Bab al-Mandab. For the second time the US destroyer was unharmed and responded with countermeasures, so far not detailed. but with reports that one salvo of the response appeared to down one of the missiles. The missiles appeared to originate near Mocha. Early today the US struck back, hitting three coastal radar sites. On Sunday, in the midst of a three-day Columbus Day/Indigenous People's Day holiday in the US, the Mason had earlier came under fnedire from two missiles, while on patrol near the USS Ponce amphibious dock (AFSB(I)-15). The Mason in that case fired one Evolved Seasparrow air defense missile and two Standard Missile 2 (SM- 2) missiles. In both cases the incoming missiles mat have been Iranian-backed Noor missiles, an Iranian-designed version of the Chinese C-802. There is little doubt that these attacks were launched by the Houthi side in the Yemen civil war. Are these attacks merely a Houthi lashing out after the brutal and bloody GCC coalition attack, probably conducted by Saudi Arabia, on a funeral in Sana‘a'? The first Mason attack followed on the heels of the funeral attack, which killed 150 or more. (Since it was carried out with US supplied aircraft and ordnance, it may have been meant as retribution, though the difference in power seems enormously asymmetric). But the UAE sinking was prior to the funeral attack. Back in early 2015, I posted about people who were alarmed that the Houthis might close the Strait of Bab al-Mandab. I stand by my argument that the Houthis cannot dominate the strait. I'll talk more in coming days. On October 7, 1571, 545 years ago today, one of the critical naval battles of history took place off the west coast of Greece: Lepanto. The confrontation between the Holy League, a Christian alliance led by Spain and Austria and supported by the Pope and Venice, and the powerful Ottoman Navy was one of the bloodiest sea battles on record. The Christian victory was deemed a miracle, stopping the advance of the previously undefeated Ottoman fleet into the western Mediterranean. 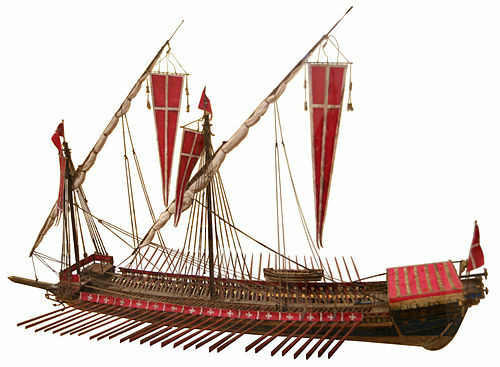 From Ancient Greece (even from the Catalog of Ships jn the Iliad) through Rome and the Byzantines, Venice and Genoa and the rise of Spain, naval warfare in the Mediterranean meant the clash of war galleys, long, low to the water warships powered by oars (though usually with a sail as auxiliary) and manned by slaves or prisoners. The age of sail had already dawned but in the Mediterranean/the galley still ruled supreme. 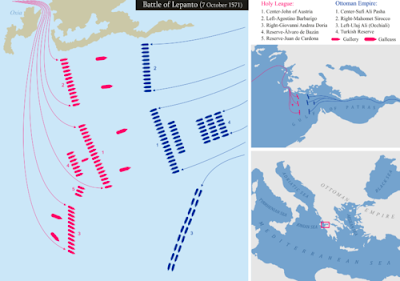 Though galleys would linger as coastal patrols and anti-pirate missions, the last great clash of war galleys in line of battle was Lepanto. 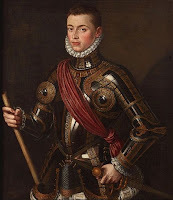 Don John of Austria is going to the war . . .
Lepanto, in the Ionian Sea and the Gulf of Patras, is extremely close to another decisive naval battle fought in these waters on the western coast of Greece: Actium, in 31 BC between Octavian (soon to be Augustus) versus Antony and Cleopatra, was fought nearby. On one of the Spanish galleys, Marquesa, was a young, 20-something Spanish naval infantry (Marine) infantryman who had been ill but insisted on remaining on deck through the battle. Of the nearly 70,000 soldiers and sailors on the Christian side, he may have been among the least known. His name was Miguel de Cervantes Saavedra. He would write a book known as Don Quixote. The battle itself was enormous, probably the largest naval battle up to that time, and the bloodiest. The forces were roughly equivalent; for convenience I'll use Wikipedia: on the Holy League side 212 ships, 206 galleys and six galleasses with 28,500 soldiers and 40,000 sailors and oarsmen; the Ottomans with 251 ships, 206 galleys and 45 galliots, with 31,490 soldiers and 50,000 sailors and oarsmen. 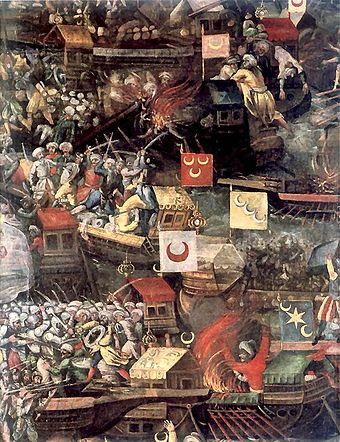 The Catholic view of the battle uses the slightly larger Ottoman numbers as proof of a miracle, but the Holy League had 1,815 guns, versus 750 on the Ottoman side. The huge cannons the Ottomans had used in land battles were not on their naval vessels; the Western small arms, arquebuses and muskets, were superior to those of the Ottomans, though the latter had excellent bowmen. 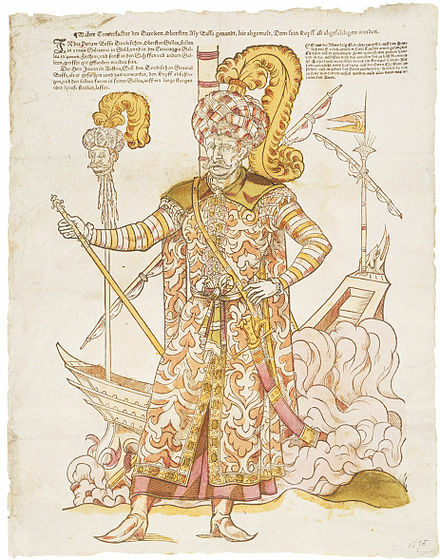 The Holy League forces were commanded by Don John, and the Turks under Muezzinzade Ali Pasha, fought hard, but the battle results were one-sided. Again using Wikipedia, the Holy League lost 7,500 men and 17 ships, while the Ottomans lost 20,000 dead, wounded or captured, 137 ships captured, 50 ships sunk, and 12,000 Christian galley slaves freed. Ali Pasha himself, and his two subordinate commanders were killed in the battle. Don Juan came to be seen as the savior of Europe. R.K. Ramazani, the undisputed Dean of Iranian Foreign Policy Studies in the US, passed away earlier today. 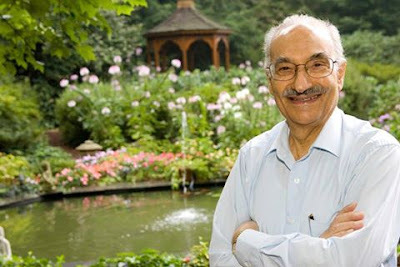 The Edward R. Stettinius Professor Emeritus of Government and Foreign Affairs at the University of Virginia trained generations of Iran specialists and other Middle East experts over his more than 60 years at UVA. Ruhi, as he was universally known ("Ruhollah was Khomeini's name; I don't use it anymore") was a Persian gentleman of the old school, who came to the US in 1952 and has been a fixture at UVA ever since. And Mr. Jefferson's University left its stamp on him: he also wrote frequently about Jeffersonian principles, and he was on the Board at Monticello. Ruhi had a long and loyal association with both the Middle East Institute and The Middle East Journal, serving at various times on MEI's Board of Governors and on the Journal's Board of Advisory Editors. He published his first article in MEJ in Spring of 1958, and his most recent in Autumn 2004. Many of those articles were collected in his book Independence without Freedom: Iran's Foreign Policy, published in 2013 by (of course) UVA Press. He also came to our Annual Conference until age and failing health made the drive from Charlottesville impossible. He continued to donate to the Journal annually. My condolences to Nesta and the children and grandchildren. The headline is not an exaggeration. At a press conference in Dhi Qar, Iraqi Transport Minister Kazem Finjan announced that Dhi Qar was the site of the world's first airport, which he dated to 7000 years ago, and that they had discovered Pluto, and, he seems to imply, had visited it. 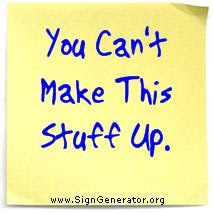 See the story here. If you know Arabic, watch the video at the link, which I can't embed. (Even if you don't, you mat want to watch the expression of the man in the light jacket at right as the reacts as the Minister goes off the rails. Iraq's Transport Minister Kazem Finjan has claimed that ancient Sumerians in Iraq invented space travel. Finjan made the outlandish claim during a press conference in the southern Iraqi province of Dhi Qar. In a speech, he said that the ancient civilisation had built the world's first airport in the area around 5,000 BC. Finjan went on to claim that the airport had served as a hub for space exploration, and that the Sumerians discovered Pluto falsely claiming it to be the solar system's "twelfth planet" and discovered by NASA. In front of a beleaguered audience Finjan sought to back up his claims asking sceptics to study the works of Sumerian experts such as Russian professor Samuel Kramer. He specifically cited Kramer's History Begins at Sumer, a familiar popular introduction. Apparently the copy on my shelf is a different edition from the Minister's, since it doesn't mention airports or space travel, and uses the standard dating in which Sumer rose around 3000 years BC, or 5,000 years ago, not 7000. (Did he confuse 5000 Before the Present with 5000 BC?) True, he mentions the Sumerians as pioneers in astronomy, but with no mention of Pluto (which used to be the ninth planet, not the twelfth, until it was demoted). And it was discovered in 1930 by Clyde Tombaugh, long before NASA existed. I think the Minister may have confused Kramer with something he saw on Ancient Aliens. Or perhaps he's made the biggest discovery by an Arab official since the Egyptian Army discovered a cure for both AIDS and hepatitis C without blood tests. I wonder how that worked out. Shana Tova to Jewish readers on this first day of Rosh Hashonah, which began at sundown. But also Happy New Year to Muslim readers in an extremely rare occasion when Jewish New Year coincides with Ra's al-Sana al-Hijriyya, the Muslim New Year. (And of course, Rosh Hashonah and Ra's al-Sana are cognate, and both mean "Head of the Year.") But the calendars are quite different, with Muslim lunar dates moving around through the solar year, and this kind of coincidence is purely that. But Happy New Year whether you're welcoming in 1438 or 5777.